Dana White has backtracked away from the Robbie Lawler/Ben Askren rematch and into the direction of the plans Ben Askren had already mapped out. 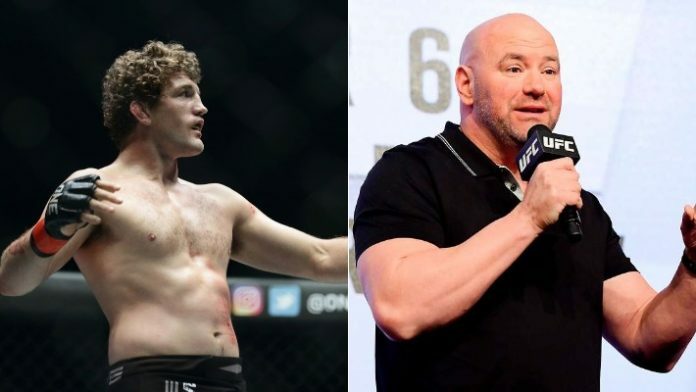 “Here’s the deal, [UFC President] Dana [White] came out and said this morning they’re looking to do me and [Jorge] Masvidal,” Askren said in a video he posted on his social media accounts. “I heard that. I said yes last week. It didn’t take me more than 10 seconds to say, ‘Of course, Jorge. Let’s do this. You think you’re a gangster. Do you believe Jorge Masvidal vs. Ben Askren is the fight to make next?